On a recent trip to Alaska, Huntin' Fool member Brian Shaub captured this great footage of a monster brown bear after a fishing trip. Brian doesn't take this bear, but it's an amazing example of the animals in Alaska. Read the complete story of this hunt in our November 2014 issue. Find out how you can access hunts like this at http://www.huntinfool.com/benefits/index.php. 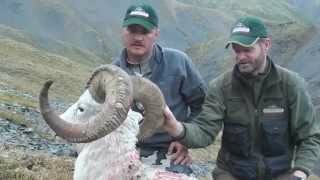 Watch the Huntin' Fool Membership Drive winner Brad Bartlett hunt Dall sheep in the Brooks Range of Alaska with outfitter Henry Tiffany. Kalen Joost with Arizona Strip Guides. Arizona 260" Mule Deer. This was the January 2014 cover story in the Huntin' Fool magazine. Member Kalen Joost takes a 260" mule deer during a dream hunt on the Arizona Strip. Find out how Huntin' Fool can help you get tags for your dream hunt at: http://www.huntinfool.com/licenseapp/. Member Dave Rydell took this monster mule deer in Mexico. The story was featured in the Huntin' Fool magazine in August 2013. Great buck, Dave! Huntin' Fool provides in-depth unit and hunt analysis to provide members with the information they need to fulfill their hunting dreams. Learn more about how Huntin' Fool can help you take similar trophies at http://www.huntinfool.com/. Huntin' Fool member David Pittman and his 258 2/8" Colorado mule deer. This monster ended up as the cover story in the Huntin' Fool magazine for March 2013. Great buck, David! Find out how Huntin' Fool can help you take trophies like this at http://www.huntinfool.com/. Story in the Huntin' Fool magazine September 2013 issue. 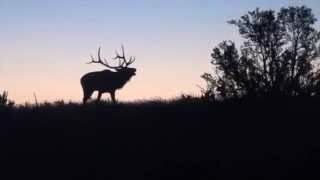 Watch member Sam Fraki take a 356 1/8" elk with his bow. Great bull! Huntin' Fool member Josh Doak takes a great Arizona bull with his bow. This is what archery hunting is all about, finding your bull, moving in for a great shot, and ending up with a beautiful trophy. Great work and great bull, Josh! July 2010 Issue Video Extra - UNO! See incredible live footage of Lorenzo Sartini's buck that gross scored 244 4/8", netted 238 1/8" official B&C, and taped 37" wide with 12x8 scoreable points. This buck was featured on the July 2010 cover of the Huntin' Fool magazine. Here's the latest winner in our Member Video Contest. 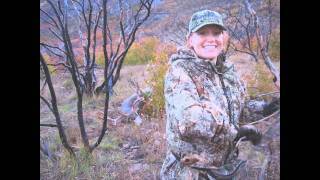 Sadie Gates takes a great bull elk on her recent Utah muzzleloader hunt. 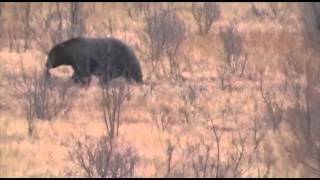 Watch as Sadie spots some great bulls and gets into range for the kill before taking a big trophy bull. Great work, Sadie! For more information on how Huntin' Fool can help you access better hunts and maximize your opportunities for success, visit http://www.huntinfool.com/benefits/index.php. Huntin' Fool member Kevin Severy took this Kansas whitetail that scored 226 6/8". This became our cover story. It was a great non-typical whitetail. Learn more about how Huntin' Fool can help you take monsters like this at http://www.huntinfool.com/. Steve Carol has been a member of Huntin' Fool since 1996. 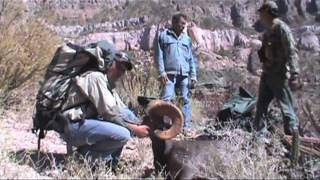 See how his son was able to utilize the resources of Huntin' Fool to help draw a Zion Desert bighorn sheep tag. Find out how Huntin' Fool can help you have a dream hunt at http://www.huntinfool.com/. Brian Solan's Montana hunt. Check out the hunt. 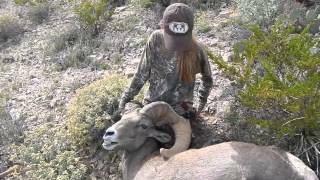 Watch 12-year-old Ciara Jones take a great Desert bighorn sheep on the Armendaris Ranch in New Mexico. Ciara makes a great 325 yard shot for an awesome trophy. 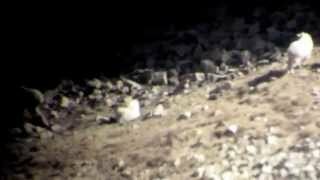 The latest member video comes from Colby Kendell and Red Rock Precision. 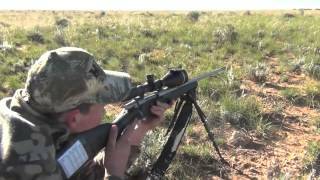 Watch as they take a great Wyoming mule deer at 1,235 yards right before a storm hits. This is a great shot for a great trophy! Learn how you can take trophies like this at https://www.huntinfool.com. Here's the latest winner in our Member Video Contest. 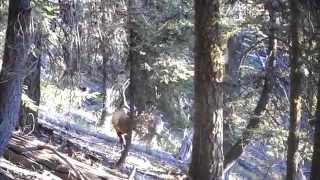 Sam Fraki takes a great Washington elk with his bow in this short and sweet video. We covered Sam's hunt in our September 2013 issue. 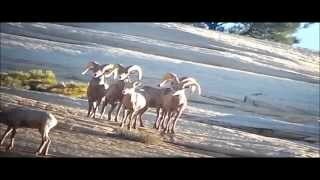 The latest winner in our Member Video Contest is Justin Anderson with his Nevada bighorn sheep. With two great sheep to choose from side by side, Justin waits for a clear shot on the bigger ram and takes a great trophy. Huntin' Fool member Mark Payne is the latest winner in our member video contest. 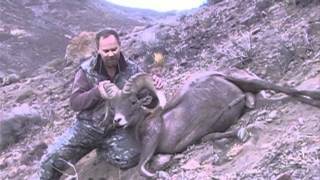 On a recent hunt, Mark took a great California bighorn sheep in Nevada. 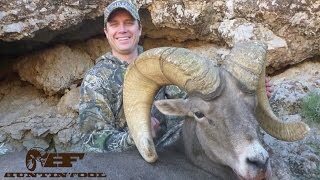 He stalked this ram and took an awesome shot to get his trophy. Great work, Mark! 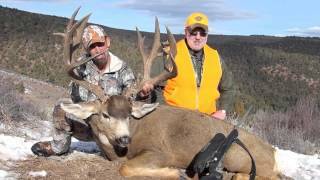 Our latest Member Video Contest winner, John Albright, took this great mulie in Colorado. John takes a great shot at the deer on the run and tags a great trophy. Beautiful buck, John! For more information on how Huntin' Fool can provide you with a lifetime of trophy hunting, visit http://www.huntinfool.com/. 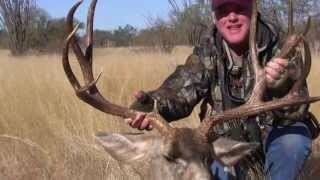 John Eckardt slams a great Arizona bull elk in this video. After a day of spot and stalk hunting, John and his guides identify a great bull that presents a perfect target for a clean kill. Find out how you can access incredible hunts like these by visiting http://www.huntinfool.com/. 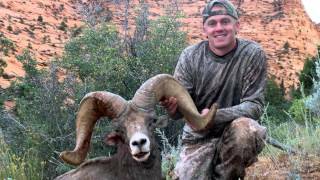 Huntin' Fool member Taylor Eyre takes a great bighorn sheep in Utah in this video. 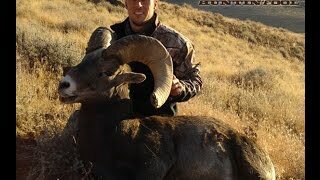 Taylor spots and films his ram with some ewes and waits until he has the right shot before he gets his trophy. Read the full story about Taylor's ram in our September 2014 issue. 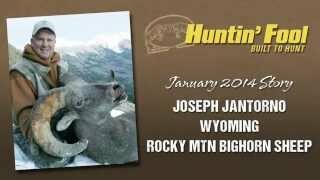 High Point Outfitters shared this awesome compilation of shed hunts. 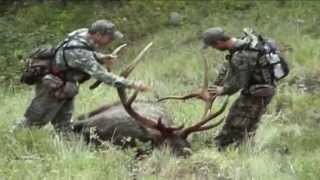 The pick up giant antlers from elk, mule deer, and more in this great video. 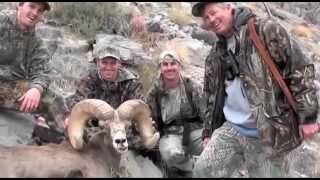 From the January 2014 story in the Huntin' Fool magazine, member Joseph Jantorno has a chance at multiple rams and takes a monster bighorn sheep. Visit http://www.huntinfool.com/ and learn more about how Huntin' Fool can help you have the hunt-of-a-lifetime and take trophy game. 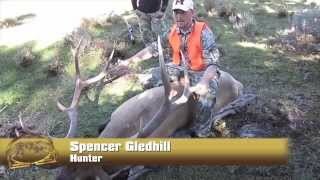 Huntin' Fool member Spencer Gledhill sent in this great video of his Utah elk hunt. Spencer had some great days scouting (even spotting some deer) that lead to a monster bull and a great trophy. Member Caleb Crawford took a 182 3/8" California desert bighorn. This became the cover story inour May 2013 issue. Great ram, Caleb! Find out how Huntin' Fool can help you take trophy animals like this at http://www.huntinfool.com/. 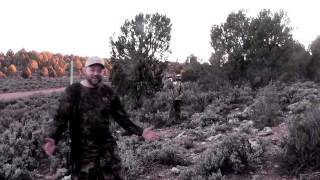 Huntin' Fool Member Kent Kaiser is the latest winner in our Member Video Contest. 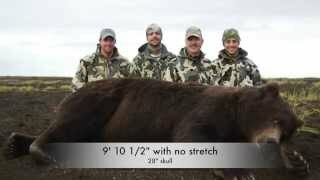 Kent takes a great bull moose on a self-guided hunt in Alaska. To learn how you can go on hunts like this, visit https://www.huntinfool.com/. This is the latest winner in our Member Video Contest. Tim Gooch took a great bull at 350 yards. You couldn't ask for a better opportunity at a great bull. For more information on how Huntin' Fool can provide you with a lifetime of trophy hunting, visit http://www.huntinfool.com/. The latest winner of our Member Video Contest, Michael Ronning, took a great bull in Arizona. Watch Michael take this elk from the middle of a nice herd and get himself a great trophy. Congrats, Michael! For more information on how Huntin' Fool can provide you with a lifetime of trophy hunting, visit http://www.huntinfool.com/. 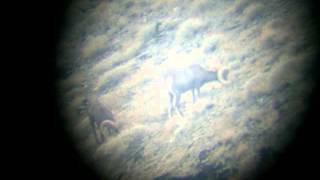 Member John Pinner submitted this video of a great Nebraska antelope hunt. John smoked this beautiful buck antelope with his bow and came away with a great trophy. Congrats on the great animal and winning our contest. For more information on how Huntin' Fool can provide you with a lifetime of trophy hunting, visit http://www.huntinfool.com/. 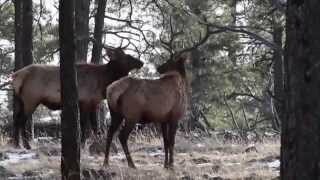 Here's the latest video from our Member Video Contest: High Point Outfitters with their Arizona elk video. 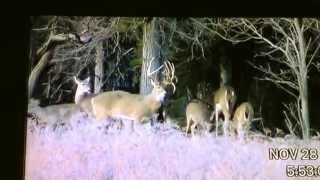 This should get you pumped for hunting season. High Point gets beautiful footage of some giant bulls, huge sheds, and stunning scenery. The latest winner of our Member Video Contest is Luke Jacobs. 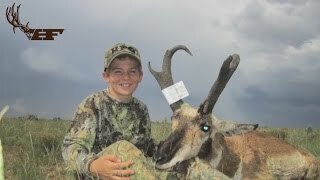 Fourteen-year-old Luke Jacobs takes a monster antelope in Arizona. Luke smokes this giant at 500 yards and comes away with a beautiful trophy buck. Here is the latest winner of our Member Video Contest. David Rydell takes a great mule deer in Old Mexico. Watch as David and his team put a good sneak on this big buck before taking the shot. Congrats on a great trophy, Dave! Find out how you can hunt great trophies like this at http://www.huntinfool.com/. Here's the latest winner in our Member Video Contest. Rick Esser takes a great Arizona antelope. Rick has an opportunity to take a big buck and takes his trophy. Great job, Rick!